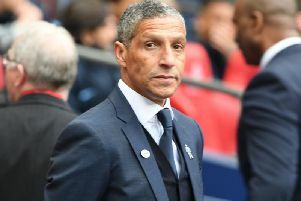 Brighton and Hove Albion latest: Is the Newcastle game winnable? How many points should be the aim for the upcoming fixtures? In this week’s Seagulls Weekly we look ahead to the trip to Newcastle and consider if this is where Brighton’s away form can turn around. Before that Mark, Steve, Sam and Ian look back a terrific result for a Dunk-less England. An audio version of the podcast will hit Acast and iTunes on Friday morning.